Brunswick pool tables are extraordinarily heavy when fully assembled, thanks in no small part to the slate playing surface and the solid wood structure supporting it. If you find yourself having to move a Brunswick pool table, it's best to completely disassemble it first, then move the table one piece at a time. You'll be far less likely to damage the table or the slate if you do. Lift the rails and the pockets off the table top after the bolts have been removed. Retain the bolts in a plastic bag so you can keep all the hardware components of the pool table together. The rails and pockets will come apart in 12 pieces. There are six pockets and six rails to be removed. Remove the felt from the slate by pulling the staples out of the support wood beneath the slate using a pair of pliers. If you do not see staples, then the felt is glued on. If this is the case, simply pull the felt off the slate by pulling in an upward motion. Look for any bolts or screws in the surface of the slate. These will appear as small round holes that may be filled with beeswax. Dig the beeswax out with the tip of a screwdriver, then remove the bolts or screws that hold the slate onto the table support. Unbolt the wood support grid from between the sidewalls of the base of the table. The overall size of your Brunswick table will determine how many supports are used. On all tables, however, the supports interlock with one another and are bolted together where they interlock. Remove these bolts, place them in the bag and then remove the table supports one at a time. With the help of an assistant, turn the table over so that its legs are sticking up in the air. This will expose the bolts that hold the table legs onto the outer frame of the table. Use the socket wrench to remove these bolts, then place them in the plastic bag. Remove the table legs and set them aside. Remove the screws that hold the blocks onto the inside corners of the remainder of the table, then place them in the bag. As you remove the screws, the side walls of the table support will come apart. 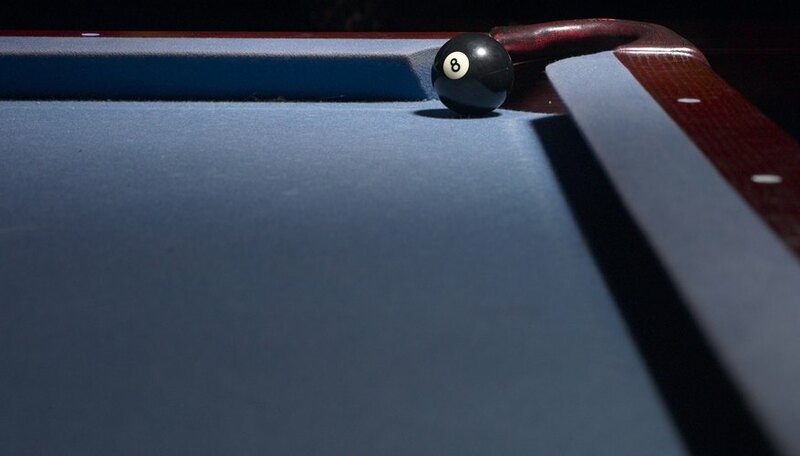 Be careful to prevent them from falling to protect the finish on the pool table wood. Once the side walls have been unscrewed from one another, the table can be safely moved to your choice of locations. Assembly of the table is the opposite of disassembly. Plan to install new felt on the table and the rails after you have relocated the table. Use caution when lifting the slate pieces off the table. In spite of their reduced size, they are still very heavy.